Trade Committee MEPs agreed on Thursday to the EU-Singapore free trade agreement, a stepping stone to cooperation between the EU and Southeast Asia. The agreement will remove virtually all tariffs between the two parties at the latest in five years. It will liberalise trade in services, protect unique European products, and opens up the Singaporean procurement market. The agreement includes strengthened labour rights and environmental protection. Trade Committee MEPs emphasised that since this is the first bilateral trade agreement between the EU and a member of the Association of Southeast Asian Nations (ASEAN), the deal can serve as a stepping stone to future free trade deals between the two regions, at a time when the EU can no longer rely on the US as a trading partner. sustainable development: Singapore will implement core labour rights conventions, the Paris Agreement on climate change, and the sustainable management of forests and fisheries. The trade committee gave its consent to the agreement by 25 votes to 11, with one abstention. The accompanying resolution, laying out the recommendations of the committee, was adopted by 25 votes to 10, with two abstentions. The committee also agreed to the Investment Protection Agreement which, once ratified by all EU member states, will replace the existing bilateral agreements between Singapore and 13 EU member states with a more modern approach to dispute settlement. Trade Committee MEPs gave their consent by 26 votes to 11. The resolution was adopted by 25 votes to 12. On Tuesday, the Foreign Affairs Committee voted to give its consent to the Partnership and Cooperation Agreement between the EU and Singapore, which extends cooperation beyond the field of trade. Read more about it here. “Today’s vote shows support for a progressive EU trade and investment policy. 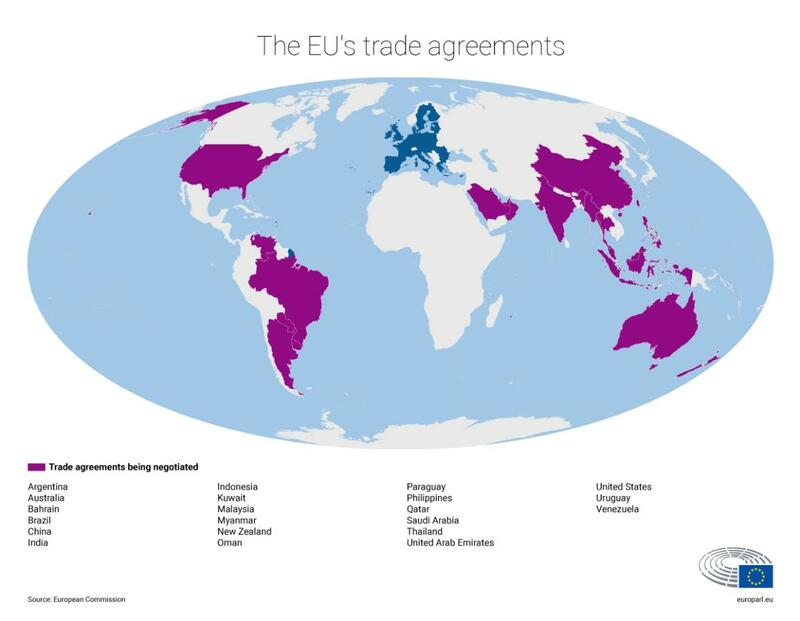 The trade agreement will not only enhance the EU’s access to the Singapore market, but even more to the growing ASEAN region, while ensuring workers and the environment are well protected. The investment protection agreement incorporates the EU’s reformed approach, and will replace the existing deals between Singapore and 13 Member States that include the toxic investor-state dispute settlement,” said David Martin (S&D, UK), the rapporteur on the agreements on the free trade and the investment protection deals. Parliament is set to vote on the trade deal and the investment protection agreement on 12 February in Strasbourg. Once Council concludes the trade agreement, it can enter into force. For the investment protection agreement to enter into force, the member states first need to ratify it. Singapore is by far the EU’s largest partner in the region, accounting for almost a third of EU-ASEAN trade in goods and services, and roughly two-thirds of investment between the two regions. Over 10,000 European companies have their regional offices in Singapore.